Senses Beauty: Multi-Vitamin Minerals provide commonly deficient nutrients with organic herbs. 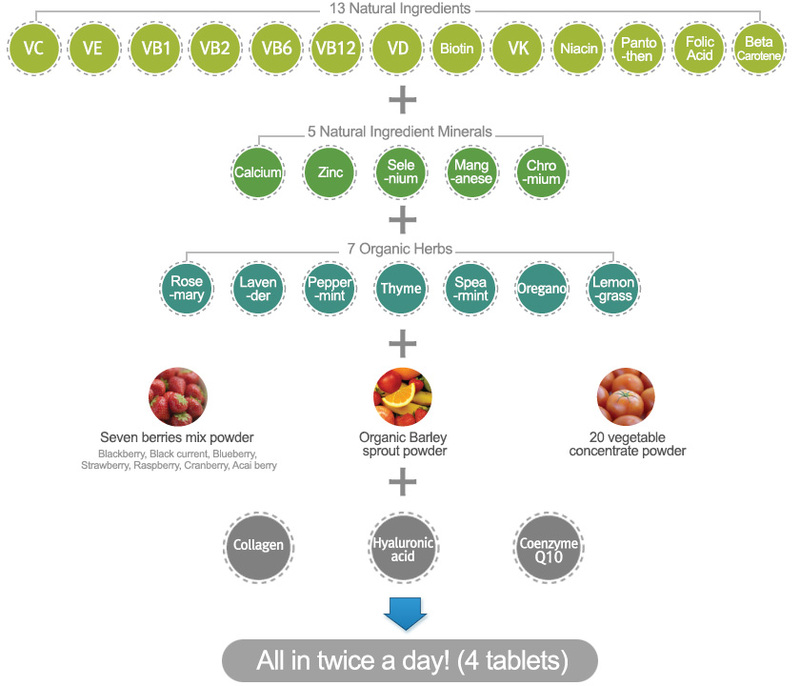 Multi-Vitamin Minerals provide commonly deficient nutrients with organic herbs. 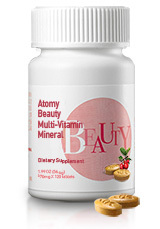 Multi-Vitamin+Organic Herbs+Multi-Mineral-> Provides balanced nutrients. Made exclusively by Atomy by mixing 7 organic herb extracts: Rosemary, Lavender, Peppermint, Thyme, Oregano, Spearmint, and Lemongrass. Made with naturally extracted vitamins and minerals. Beta Carotene, which maintains skin generation and function, is extracted from Dunariella. Collagen Peptide, Hyaluronic Acid, and Coenzyme Q10 were added as side ingredients, along with Tocopherol. The organic lemon extract contains Folic Acid, which is needed for cell and blood production. 2 doses per day, 2 tablets per dose with water. 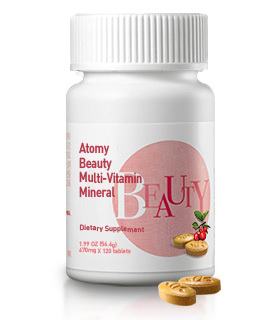 Atomy Beauty Multi-Vitamin Mineral is recommended for the following people.